Non-scary educational Halloween hike by the Muscatine County Conservation Board. 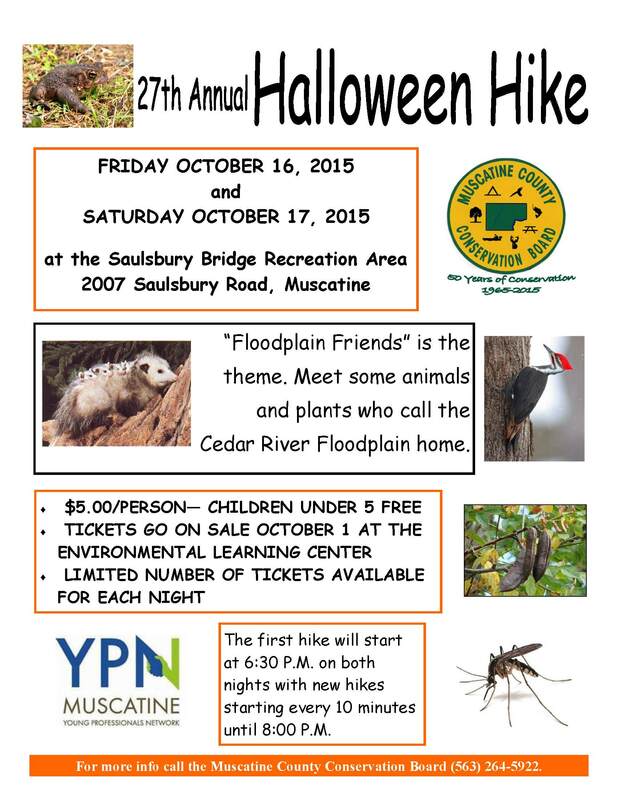 This is the 27th year and the theme is “Floodplain Friends.” Plants and animals that live in the Cedar River Floodplain will tell visitors all about themselves along a pumpkin lit trail at Saulsbury Bridge Recreation Area. Tickets should be purchased ahead of time as time slots fill up quickly.